Certified 5K course! 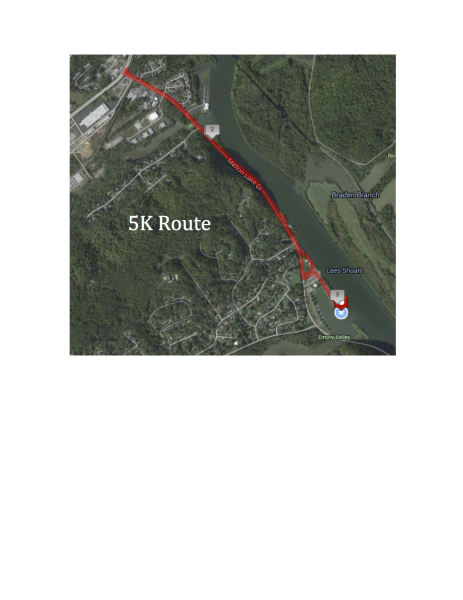 The 5K race route starts and finishes at the Melton Lake Peninsula. The course follows the water's edge along the Melton Lake walking trail to Elza Gate then double back to the peninsula. A very scenic and easy 5K run. Course certification code: TN15077MS. The time limit for the 5K is 2.5 hours. Once streets are re-opened and course support is shut down, any remaining runners/walkers can continue at own risk. Hydration/Aid station available approximately at half-way point along course. Nice public restrooms and porta-johns located at start/finish with one porta-john located at half-way point. * Based on chip timing.